Like any good DIPA, Super India Pale Ale poured a beautiful golden orange/copper color. The head is a fluffy cream color with bubbles floating through the beer. Lacing splashed the side of the glass with rings that bled into waxlike formations. The aforementioned bubbles left patterns like a well-tended honeycomb. The description calls for fruity tones and boy do they appear in the nose. Pineapple and mango were at the forefront, with a touch of pine floating in the background to keep things interesting. As it opens up the mango starts to dissipate, allowing the pine and grapefruit to blend together. A sweet malt background is present that reminded me of an elephant ear, but doesn’t necessarily smell exactly like one (if that makes any sense at all). The taste is all about the hops. It starts with a blast of piney hops, with hints of mango briefly appearing alongside some sugary dough-like malts. Another big blast of dry piney hops finish things off. The alcohol is noticeable, but it could easily be mistaken for the hop juice that is attempting to eat away at the enamel of my teeth. Mouthfeel is light, but the hop juice can be felt the entire time you’re drinking. As it goes down it begins to evaporate, which allows the hop flavors to come forward. 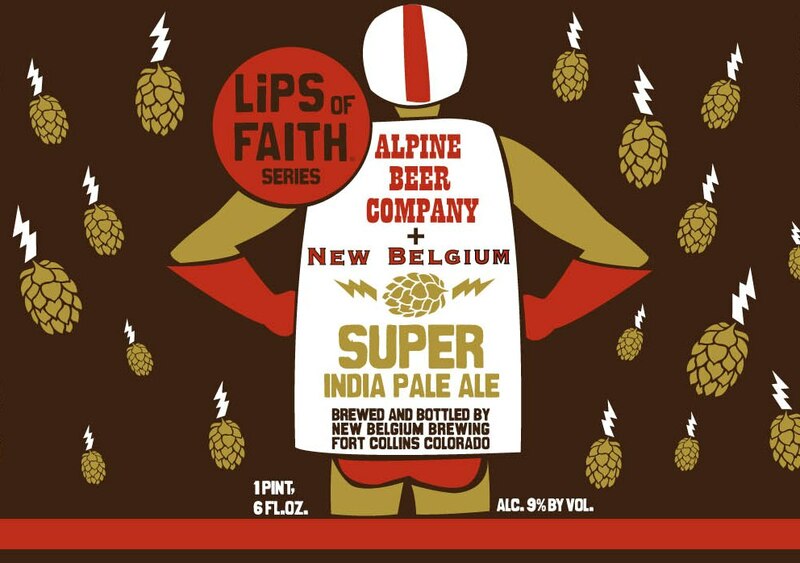 Super is a good way to describe how hoppy this beer is. It really tries to hurt you with the few sips, but as it warms/mellows it becomes more drinkable and less like an assault on your taste buds. I wonder what this would taste like after some aging…or better yet some aging in an oak barrel! I think on onto something here.